Imogen is a cross disciplinary artist who graduated from the New Zealand School of Dance in 2007 with a National Diploma in Dance Performance. She returned to Sydney in 2008 to further her career within the independent dance community as well as pursue her interest in multidisciplinary art creations. She has performed in both her own projects and works of professional choreographers in various independent dance platforms, such as DirtyFeet and Short + Sweet Dance. 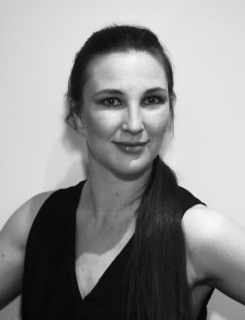 In 2009, Imogen joined youMove Company, and has had the opportunity to work with established choreographers - Anton, Emma Saunders, Kay Armstrong, Vicki Van Hout, Tony Osborne and emerging choreographers - Ian Colless, Kevin Privett, Venettia Miller, Ces Farrar, Ana Welsh. Imogen has appeared in numerous youMove performances including Sarah-Vyne Vassallo’s roving dance piece, Are we there yet?, for Sydney Festival First Night (2010) and Thinking About Forever, a collaborative project with the Australian Chamber Orchestra and Parramatta String Players for the Sydney Festival (2011). Environment, developing work under the artistic moniker, aPatchi creations. In 2010, her multimedia work Tyche appeared in the Sydney Fringe Festival as part of a triple bill called Three Steps Towards and was also performed at Eramboo for the Manly Arts Festival. As a new media artist, Imogen was invited to participate in the Seam 2010 workshops at Critical Path and has collaborated on various multimedia projects including Busy Hands Speaking Country with Vicki Van Hout, which was presented at the 2010 Seam Symposium and The Living Room Theatre’s award winning production, I Love Todd Sampson, which premiered at Pier 2/3 in March 2013. She also collaborated as the new media artist on Vicki Van Hout’s critically acclaimed production Briwyant, which premiered in Sydney in 2011 and toured to Melbourne, Brisbane and Darwin in 2012. Imogen continues to collaborate with peers and artists from other disciplines. In 2012, she performed Selves, a collaborative work produced by youMove Company and choreographed by Cloé Fournier for Dance Meets Music at the Sydney Conservatorium of Music. Following on from this, in 2014 she created her own work ĭn-dwĕl′ in collaboration with composer Sophie Hoffman for Dance Meets Music 3. In 2012, she worked with improvisation artist Tony Osborne to create Palimpsest for the Arts NSW funded project, tenofus, and also appeared in her own work, wItness bench, as part of AIOP/Australia/2013. From 2014 - 15, Imogen has collaborated as the composer and media artist for Cloé Fournier's full length work, Dining [Uns]-Table, and presented a public interactive sound installation entitled play, as the inaugural recipient of the Enliven Pittwater Artist Residency. In 2015 she undertook a Curated Residency at QL2 to develop her work WiTNESS, which looks into the potential of merging interactive media and authentic movement and appeared in Victoria Hunt’s multi-disciplinary work Tangi Wai, as part of LIVEWORKS 2015, Performance Space’s Festival of Experimental Art. Imogen is a 2016 company member with Murmuration, fulfilling roles of Artist/Collaborator and Teaching Artist. She also facilitated an event at Eramboo Artist Environment called Syzygy, collaborating with Sydney performance artists to create a weekend of cross disciplinary work.